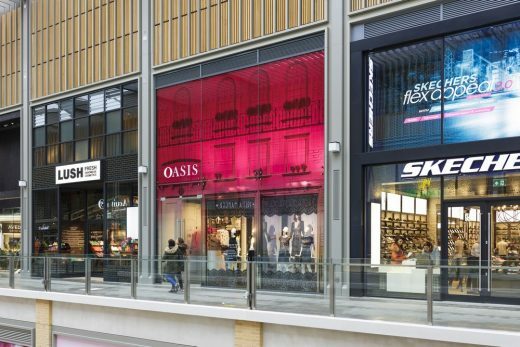 Chapman Taylor, supporting Laing O’Rourke, was appointed to deliver the highly-anticipated regeneration project, a joint venture between Landsec and The Crown Estate, which is the largest shopping and leisure development to open in the UK this year. 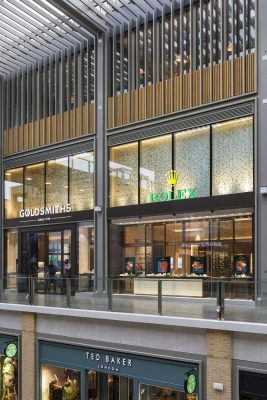 This new retail and leisure experience, located at the west end of the city’s Queen Street, replaces the 1970s-built Westgate shopping centre, providing 800,000 sq ft of contemporary fashion, film and food. 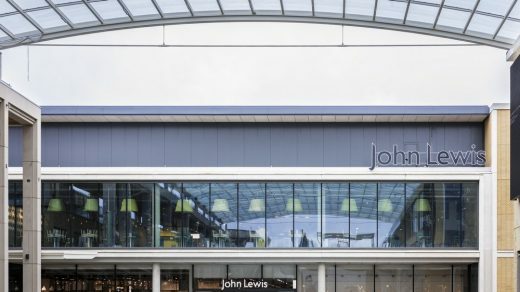 It comprises two levels of over 100 brands, including Hotel Chocolat, Ted Baker, COS and Guess, and introduces a 142,000 sq ft flagship John Lewis store. 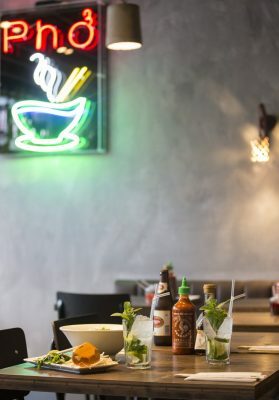 Westgate Social is an evolution in food court dining which sees F&B provision complemented by leisure activities such as Junkyard Golf Club, and is home to 500 communal seats inside and out – unique to Oxford. 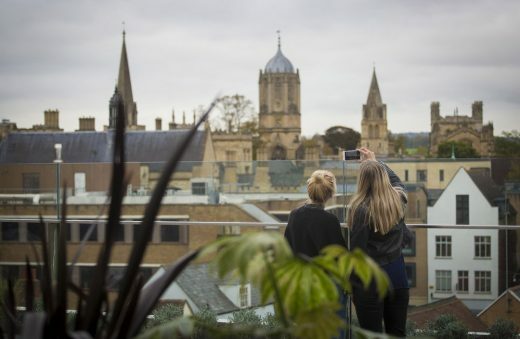 Westgate Oxford will also have the city’s first public roof garden, where cocktail creations and a variety of culinary names, including The Breakfast Club, Sticks’n’Sushi and Pho, will set the scene for views of the city’s famous dreaming spires and rolling Oxfordshire countryside. 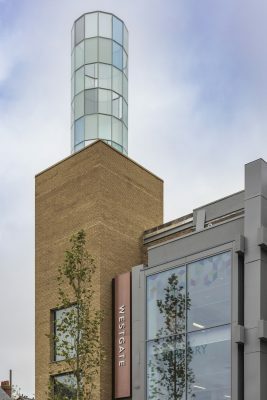 The innovative design of the new development revolves around a mix of covered streets, lanes, arcades and squares, and retains part of the existing centre. An existing space adjacent to the Westgate entrance has been rejuvenated with public artwork, ‘The Lantern’. Designed by renowned Swiss artist Daniela Schönbächler, it consists of 78 glass panels, inspired by a window at All Souls’ College. Two public squares have been created – Bonn Square and Leiden Square – places for visitors to relax, in which pop-up events and exhibitions will be hosted. 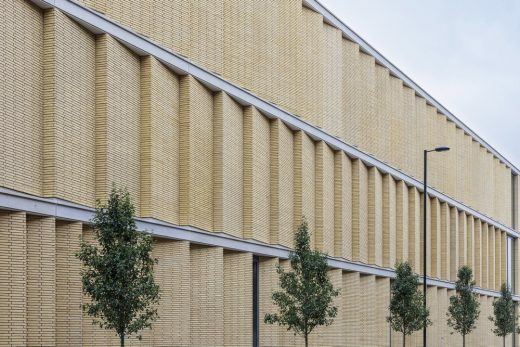 Chapman Taylor developed the landmark scheme alongside Laing O’Rourke using BIM (Building Information Modelling), which enabled direct data transfer of precast façade, structure and core designs into fabrication software used in off-site manufacturing facilities.